Knowledge Base :: Amber Jewelry - Amber Jewelry Store | Online Gateway to Amber Necklaces, Bracelets, Prayer Beads, Baby Teething Necklaces, Pendants, Amber Stones with Insects and Amber Earrings. George Eliot once said about jewelry that “these gems have life in them: their colors speak, say what words fail of”. All this literally applies to amber jewelry especially, because amber stones have life in them. For those who do not know, amber stones are alive themselves, due to the fact that they electrify negatively and have been in a continuous metamorphosis for over 50 million years. Not only that, but amber stones usually contain plant or insect residuals. The most fascinating thing about amber is what you can find inside the fossilized tree resin. A wide variety of small insects and arachnids can be found inside amber stones - small termites, flies, butterflies, spiders, ants, beetles, bees – that probably flew into the resin and remained stuck in there or were buried along with it underground. 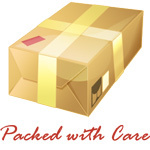 Plant residuals, pieces of other stones, leaves, flowers and many more items are also found. All these make amber jewels unique, attractive and mysterious at the same time, a reason why people have been captivated by their natural beauty, their interesting color combinations and different hues and tones. Jewelers decided to make good use of this variety and so hand-crafted amber stones began to expand. Jewelers extract the amber from the soil and then refine each piece into a smooth stone, with elegant shapes, placed in pieces of jewelry such as silver, stainless steel and many more. 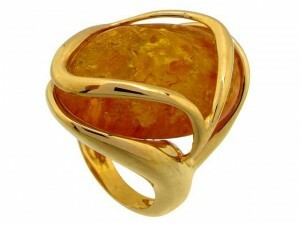 Another great thing about amber stones is that they are not as expensive as others, so amber jewelry does not cost much. It is affordable, extremely stylish and unique. The most common forms of amber jewelry are rings, earrings, bracelets, pendants, necklaces and brooches, all made with amber stones and a metal of the jeweler's choice. Each jewelry piece varies in complexity, design, price, metal used, customized look and other details. Amber necklaces and bracelets worn against the skin have wonderful healing properties, mainly because the amber stone's innate oils are being released into the human bloodstream when they come in contact with the skin. This can soothe the skin and balance body fluids. Amber jewelry also releases innate warmth and can help the wearer lift their mood and relax each time they feel pressure and anxiety. In addition, if you have a baby, then amber jewelry will help ease the little one's teething pains. When an amber jewelry necklace or bracelet is placed on the baby's skin, it reacts with it and releases natural oil compounds into the bloodstream, thus reducing cheek inflammation and redness. Moving on to style, amber jewelry looks great in both daywear and nightwear, thanks to the variety of shapes, colors, designs and forms. Women can wear it with any type of outfit. 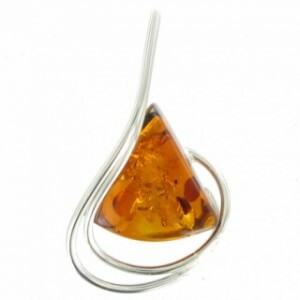 For a more elegant look, amber jewelry in Sterling Silver will always be a good choice. It comes not only in a variety of designs and styles, but also colors. The most common amber stone used in jewelry has a rounded, natural yellowish-colored form. It is important to know that amber comes in different natural colors and that the jewelers usually do not artificially treat amber in order to attain a certain color. Amber stones change colors accordingly to the environment they come from: water, soil, resin. It depends on temperature changes, chemical reactions and of course, residual plants and insects trapped inside the tree resin. Amber jewelry reflects clarity, light and energy, and it teaches people how natural, simple things can turn into beautifully crafted accessories.